Tyler Quimby has been raised in an idealistic family, and he believes in true love. 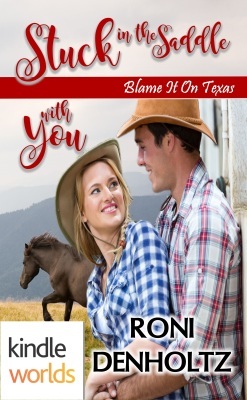 But RaeAnne’s heart was broken in the past, and she is afraid to trust another good-looking cowboy—especially since her family history is tumultuous. Stuck in the Saddle was really fun to read. A quick, happy ending story was just what I needed. Great characters. And a hero in a cowboy hat is always a winner!